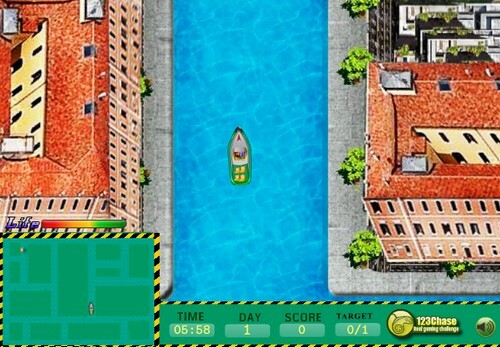 Description Earn score by helping the boat man to pick up and drop the passengers as fast as he can by spotting them on the map. You gain life by collecting tools on your way whereas you lose a life if you hit the obstacles. Finish the target before the time runs out to move on to the next level. Complete all the levels to win the game. Controls Use arrow keys to move and steer.